Regardless if your horse wears shoes or goes barefoot, hoof care is an important part of keeping your horse sound and comfortable. 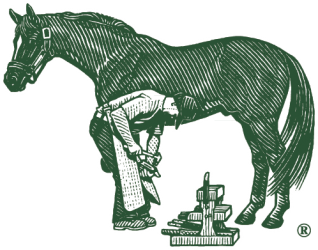 A major part of this maintenance includes trimming, resetting the shoes, and regular hoof care provided by the service of a farrier. But how often should your farrier visit and why is it important to maintain a regular schedule? Ernest Woodward, a professional farrier, stated that “Routine and frequent trimmings and shoeings on a regular schedule creates a uniform shoeing cycle with no extremes.” In other words, keeping a regular schedule with your farrier leads to a more consistent and healthier hoof. Which makes sense; a regular schedule allows the farrier to ensure the hoof remains healthy, consistent, and helps prevent other issues from developing. There are many reasons why a regular farrier schedule is important to keep. Below we discuss a few of these benefits. Maintaining a regular schedule can help properly trimmed hooves remain balanced. If left unchecked, hooves may become imbalanced and create cracks, wall separations, and other hoof related issues. As discussed in a previous blog, maintaining balanced hooves is important to hoof health. Overgrown toes and imbalanced hooves create extra stress on the hoof wall. This extra stress can not only lead to cracks and separations but puts strain on the joints and tendons. The extra strain on the joints and tendons can lead to injury. Proper trimming and a consistent schedule helps to prevent this added stress to the hoof wall, joints and tendons. As Ernest Woodward said above, routine visits remove the risk of an extreme situation from being created. Having a regular farrier schedule decreases the chance of a hoof related issue from developing. It also acts as a preventive measure against hoof related issues and diseases. By keeping a regular schedule and ensuring the horse has no extremes, correct support, and balanced hooves, you are helping to keep the horse sound which allows the horse to perform. The regular visits will also help your horse become more comfortable with the farrier and the routine checks. The average horse needs to see a farrier every 4 to 6 weeks, but not every horse is the same. Some horses may need to see a farrier more, or less, often than the average horse. Determining how frequent your farrier visits will depend on the growth rate and current health of your horse’s hooves. A hoof that is badly damaged or suffering from a hoof related disease may require more attention, but assuming the hoof is healthy, the hoof growth can help us determine how often the horse needs to see a farrier. To do this, we must also look at the factors surrounding the horse that can affect hoof growth. Although there isn’t much we can do to change genetics, some horses are born with the genes to build better quality hooves than other horses. Nutrition plays a vital role in the growth and health of hooves. One of the first signs of poor nutrition will be hoof related issues and a dull hair coat. 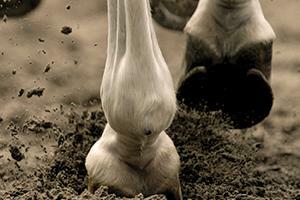 Correcting your horses nutrition and feeding a quality hoof supplement will help promote hoof growth. As a horse grows older the growth of the hooves will begin to slow. Younger horses like foals or yearlings will typically have much faster hoof growth than an aged horse. This is due in part to a higher metabolic rate in young horses. The outside environment plays a role in several ways. Hoof growth tends to slow down in the cold of the winter months, and speeds back up in the warmer months of spring and summer. Although growth will slow down in the winter, it is still important to continue your farrier schedule and hoof maintenance. Another way the environment plays a factor is through issues that can develop through bacteria and hoof-eating microbes. Many of these issues are developed from wet weather or contaminated environment and can cause major damage to the hoof. Horses that receive regular exercise will typically have better hoof growth than a horse with little activity. Exercise will increase the metabolism, which increases the available nutrients, hormones, etc. necessary for hoof growth. Your farrier should be able to review these factors and get a good sense of your horse’s hoof growth, the conditions surrounding your horse, and how often the visits should occur. Then determining how often your farrier visits becomes a discussion between you and your farrier. The key point to remember is to establish a schedule based on your farrier’s recommendations, and consistently keep the schedule. Going months without seeing your farrier puts your horse’s hooves at risk of developing serious issues. Hoof maintenance should not be ignored or put off. 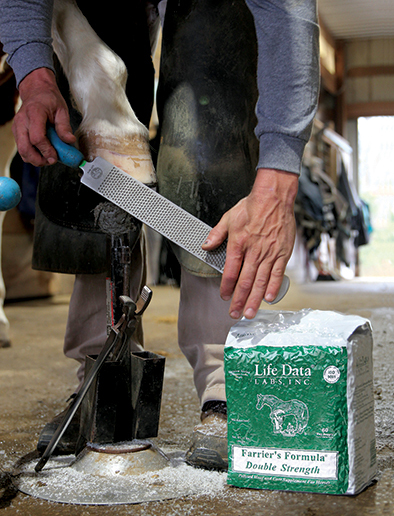 It is a day-to-day requirement and crucial to hoof health, comfort, and the performance of your beloved horse. If you have any questions regarding hoof health or maintenance, feel free to contact us at 1-800-624-1873. Previous PostPrevious Does My Horse Need a Joint Supplement?